Pour about 1/2 of the melted chocolate into small bowls for dipping. 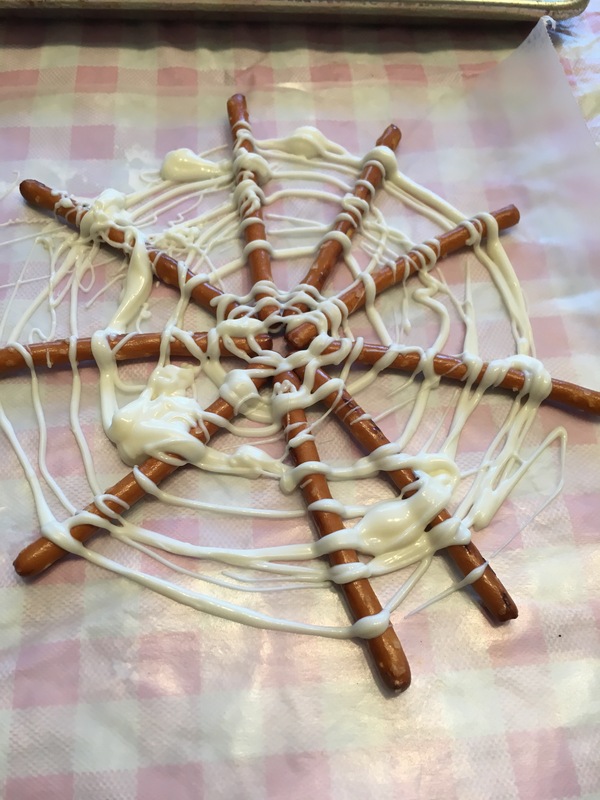 The remaining chocolate will be used for the spider webs. 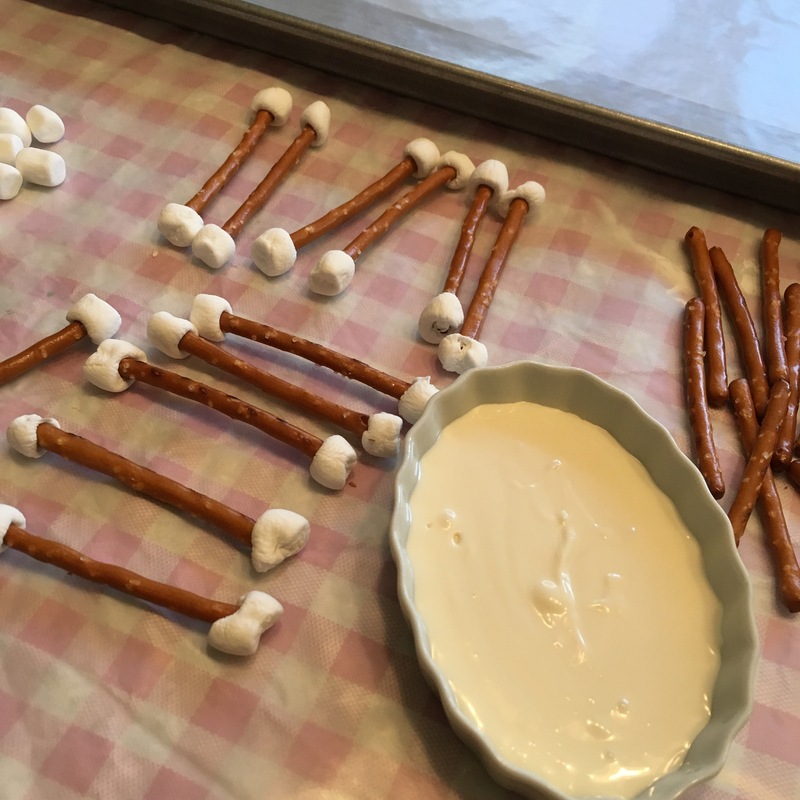 Take a miniature marshmallow and place one on each end of the pretzel. 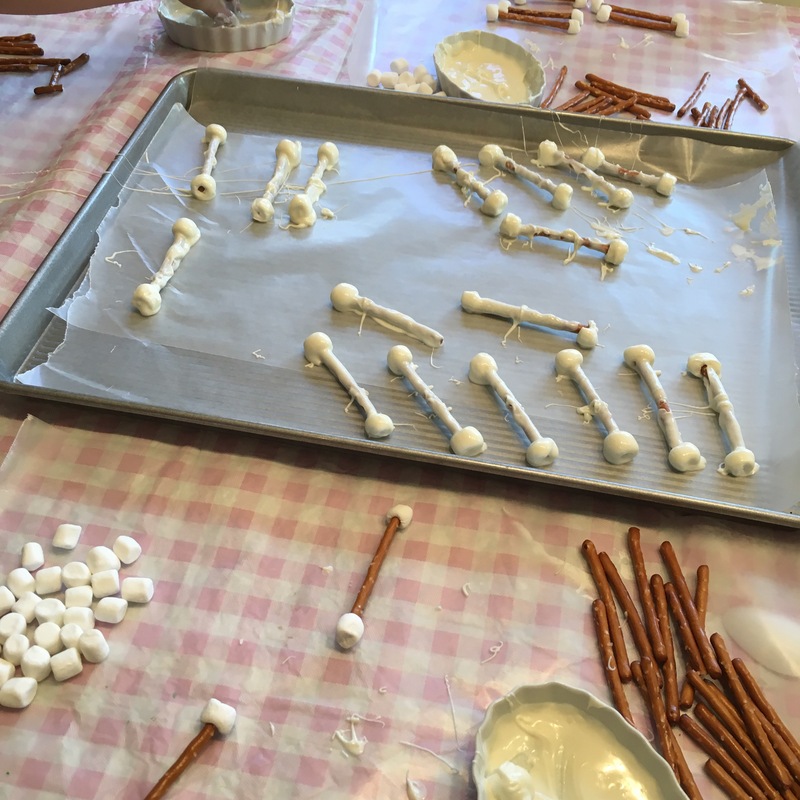 Remove the bones from the wax paper. Serve or store them in a container for later. You can eat them right away or store them in gallon ziplock bag.